Resilience matters because we all rely on water being available around the clock, and having our sewage taken away, every day of the year both now and in the future. There are many different aspects to resilience, including environmental, financial, economic and social, which all need to be considered when planning for the future. What do water and sewerage companies need to plan for? They need to plan for things that could happen tomorrow – like heavy rain inundating a treatment works with floodwater, power supplies being disrupted or a severe drought with restrictions on how much water can be used. Companies need to make sure that cities and towns can be supplied with water from more than one place, so there’s a backup if things go wrong. They also need to look forward 25 and even 50 years. Companies work with government and regulators to forecast how much water might be needed in the future and how the sewer system might be adapted to deal with the increased pressures on it. To make sure there’s enough water in the future, there are some things that water companies need to do now, including investing in water and sewerage services so future generations also benefit. This investment might result in new water being available, a better sharing of existing water or ways to encourage people to reduce how much water they use. One of the biggest challenges companies are already planning for plan for is drought and climate change. In the UK, this may bring warmer temperatures and less certain rainfall patterns, with more heavy downpours, making the weather more variable and extreme. In just the past few years we have seen severe droughts, floods, and extremes of rainfall and cold weather. This has led to shortages of water and too much water, sometimes both at once in different parts of the country. Another challenge is the UK's growing population, which is expected to rise by 10 million by the 2030s and another 10 million by around 2050. This will create even greater demand for water and sewage services. How are water companies affected by flooding? As our climate changes, serious flooding is expected to become increasingly common and we have seen in recent years how disruptive flooding can be for homes, businesses and services. A key priority for water companies is to improve the resilience of our water supplies and wastewater systems to flooding. Companies are identifying their supplies and systems at risk, putting in place flood defences where possible and helping each other when floods happen. We can never entirely prevent the risk of flooding but action is being taken and investment is being made to ensure that our water services are more resilient. Water is taken from rivers and from underground sources for many reasons, including supplying water to homes and businesses, generating electricity and for farms.This is known as abstraction. In some areas too much water can be abstracted causing damage to animal and plant life. This is known as over-abstraction. 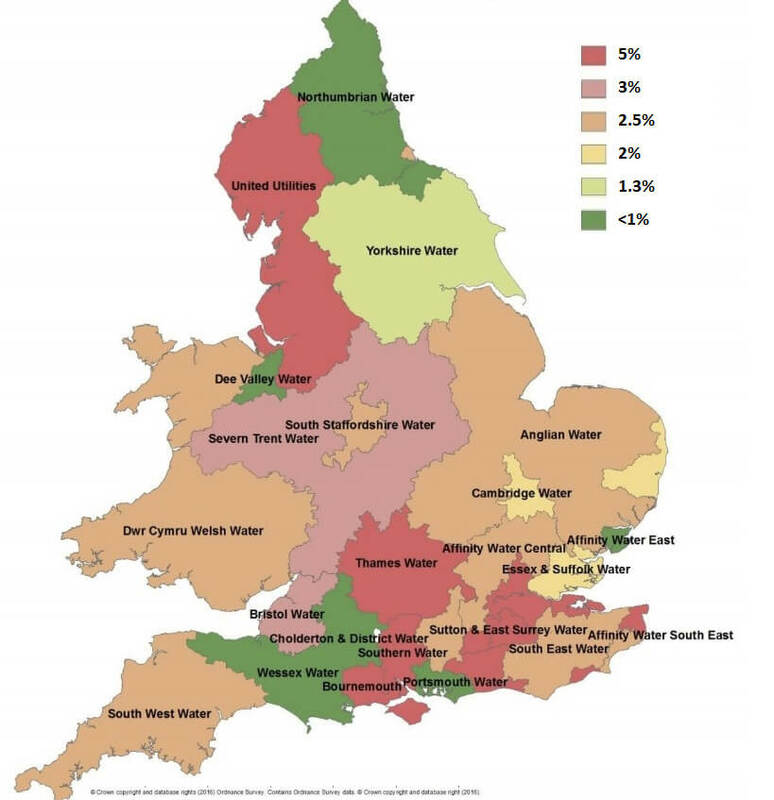 At least 5% of rivers in England and Wales are affected by over-abstraction. 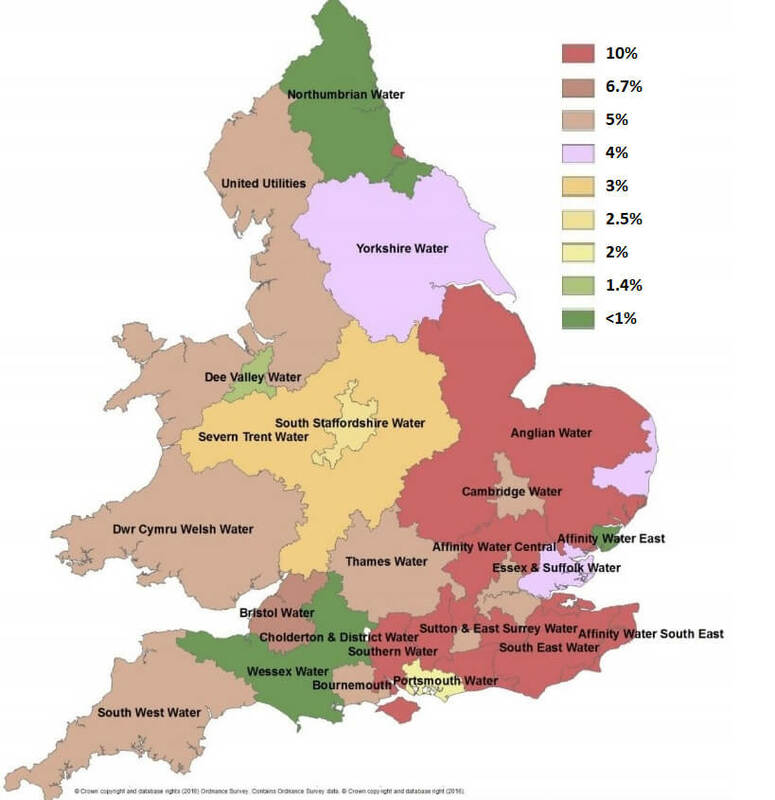 Water companies are large water users, taking around 15 million litres of water per day from the environment, and the pressure to take more will increase as the country’s population grows particularly in the south and east of England. Every water company invests in water resources and reducing demand to ensure that they don’t take too much water from the environment and resolve existing environmental problems. Companies also try to be more efficient in their use of water, by repairing burst mains and leaky pipes more quickly, and by working with others to promote water efficiency with their customers. How do water companies cope with droughts? Water companies aim to provide all the water you need to use, 24 hours a day, 365 days a year. If it has been dry for a long time, companies might sometimes need to restrict how water can be used, to make sure that there is enough water for essential uses like drinking and flushing toilets. Water companies plan based on what are called “levels of service”, which explain how frequently they expect to take action in response to drought to make sure there is enough water for essential uses. Each company develops its own plans, based on its experience of droughts, and works with regulators and customers to make sure it’s the right plan for that region. Because the plans are local, the frequency that companies expect to have to take action to preserve water for essential use varies across the country. As a drought gets more severe, companies take action in a series of stages, starting with encouraging customers to use less water. This is when, as well as asking customers to use less water to make sure there’s enough for everyone, temporary bans are put on non-essential use of water like using a hand-held hosepipe for cleaning a car. How often this happens depends on how frequent and how severe droughts are. The map below shows the percentage chance of a ban in one year that companies plan for. This is based on the droughts companies test their plans against. There might be droughts even more severe than the ones used in company plans. When a drought gets worse, water companies can apply to the government to take extra water from the environment, for example from rivers, lakes or underground sources, to make sure they’ve got enough water to supply to customers (drought permits). Water companies can also apply to the government to place restrictions on how much water other users can take from the environment and also to place restrictions on specific water-using businesses such as swimming pools, car washes and garden centres. How often this happens depends on how frequent and how severe droughts are. The map below shows the percentage chance in one year of having to apply for a drought permit that companies plan for. The UK has experienced severe droughts in the past and water companies have plans for when this happens in the future. The companies will always aim to ensure that in severe droughts essential suppliers are maintained, and that the effects of disruption to services to customers are minimised. To help them to maintain essential supplies in severe droughts, companies can apply to the government to place emergency restrictions on supplies, such as significant reductions in water pressure, providing water through standpipes or tankers and limiting other specific uses of water (emergency drought orders). What more is happening to ensure the resilience of water supplies? Click here to leave Discover Water and find out how the water sector is planning for the future.